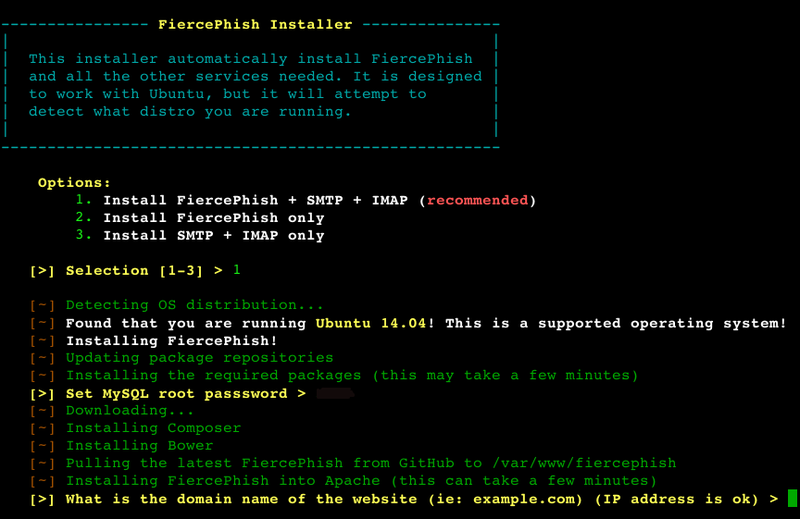 FiercePhish is a full-fledged phishing framework to manage all phishing engagements. It allows you to track separate phishing campaigns, schedule sending of emails, and much more. The features will continue to be expanded and will include website spoofing, click tracking, and extensive notification options. Purchase a domain name to send emails from This isn’t required, but it is heavily suggested. Phishing campaigns where you spoof an active domain you don’t own are extremely susceptible to being spam filtered (unless the domain’s SPF record is improperly configured). The best way to perform a phishing campaign is by buying a generic domain that can fool someone (“yourfilehost.com”) or a domain that is very similar to a real domain (“microsoft-secure.com”).